Please check out the Take REAL Action Forum! This will be a day to learn about prevention, the brain science of addiction and mental health, national and local drug trends, trauma and resilience, and about resources and programs available in the Helena area. 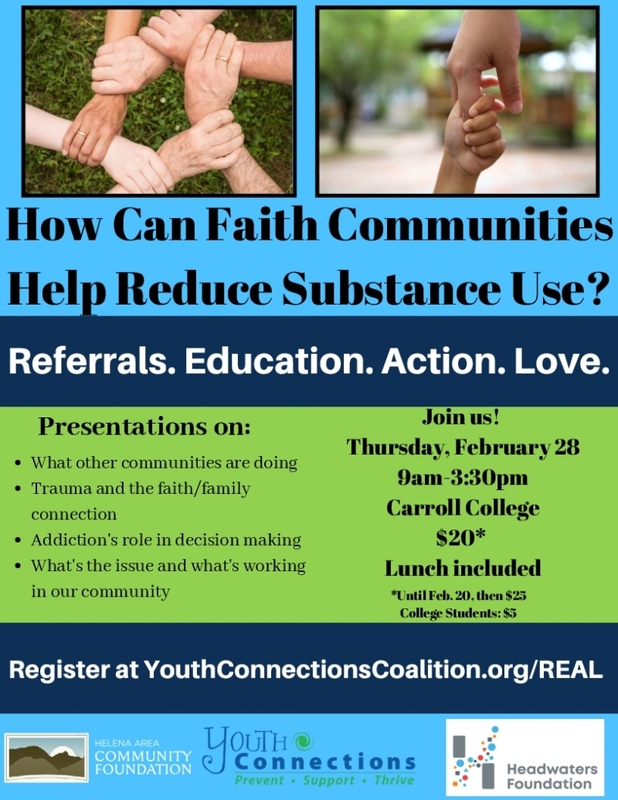 There is more information about the entire REAL Community Project as well as an agenda for the day at www.youthconnectionscoalition.org/REAL You can register for the conference by clicking on the ticket link and filling out the google form, or you can find a paper registration form on our website. This conference is geared toward faith leaders, but is open to the community. 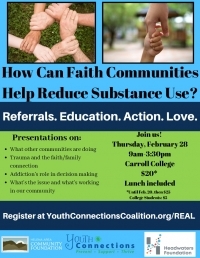 You do not need to be a member of a faith community to attend. There will not be proselytizing, but engaging the faith community will be addressed.